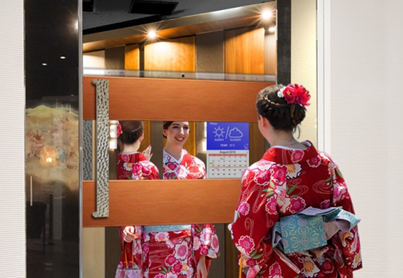 World's First IoT Full-Height Door "FULL HEIGHT MILAOS"
August 1, 2018 (Tokyo Japan) - Japan Display Inc. (JDI) and Kamiya Corporation announced the world's first IoT full-height door ("FULL HEIGHT MILAOS") whose function (the mirror changes to a display) applies JDI's core LCD technology. "FULL HEIGHT MILAOS" is a futuristic door design which has a full-size mirror on the front-side, and the rear-side of the door is covered with luxurious leather, a design which gives grace and dignity to this product. The mirror can change to a full-size or partial-size display, to show applications such as weather, incoming mail, schedule, etc., by voice command. In addition, an integrated camera makes it possible to have a unique function called"Okure-Kagami". A person can see himself or herself in the mirror with some seconds delay. If you turn around in front of the mirror, you are able to check your view from any angles you want to see with this function. You can also take photos and show them on the mirror and/or send photo data from the mirror to your smart phone. This display, in the non-active mirror-mode, can easily blend into home or retail space and keep a sense of unity. "FULL HEIGHT MILAOS" is expected to launch in FY2019, with more functions updated by connecting to IoT devices and may be integrated with AI in the future. "FULL HEIGHT MILAOS", is a futuristic design incorporating the latest technology. This door is not only used to separate a room, opening and closing, but can also provide a more rich life with futuristic design. This new technology will open a new page in the evolutionary history of the door. Commercialization of "5G" will be started in 2020 and all devices surrounding people will be connected to the internet. JDI recently established a new corporate philosophy -- "With fresh perspectives and advancing technologies, we work constantly to realize a world that is inspiring and free of stress" -- as well as set up a new department (April 2018) to promote marketing and innovation, so that we are promoting "kotozukuri" (value creation) by utilizing JDI's #1 market share in small- and medium-size LCD displays, JDI's technological strength. JDI will create new future experiences within our "JDI Future Trip Project". Japan Display Inc. ("JDI") is a global leader in innovative display solutions. We provide customers with advanced small- and medium-sized displays for high-end electronic applications, including smartphones, automobiles, medical equipment and VR/AR devices. Our strength lies in leading-edge low temperature poly-silicon (LTPS) technology that enables displays with high resolution, low-power consumption, narrow bezels, and design freedom, with more potential features under development. 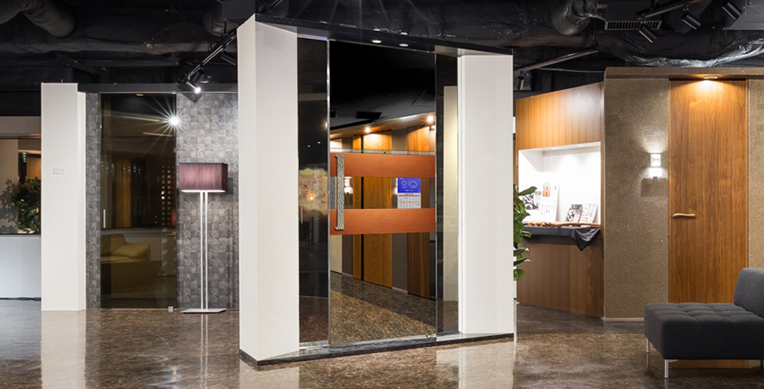 "FULL HEIGHT DOOR", a high end segment room door is main product of KAMIYA Corporation ("KAMIYA"). KAMIYA has several showrooms in all over Japan and also mobile showrooms named "Yume-hako" for "FULL HEIGHT DOOR" promotion. KAMIYA has established new innovative business models supporting builders and try to create new market in housing industry. Sales amount has come over 10billion yen and will be more by creating new market.